“Monks, here an unlearned ordinary person – one who does not see noble ones, who has not mastered the teaching of the noble ones, who is undisciplined in the teaching of the noble ones, does not see good people, has not mastered the teaching of good people, and who is undisciplined in the teaching of good people – perceives earth as earth. Having perceived earth as earth, such a one conceives of earth, conceives in terms of earth, conceives from [a basis of] earth, conceives of earth as ‘me’, and delights in earth. For what reason? ‘A lack of complete understanding,’ I say. “Such a one perceives water as water… fire as fire… wind as wind… devas as devas… Pajāpati1 as Pajāpati… Brahma as Brahma… ābhassara2 devas as ābhassara devas… vehapphala3 devas as vehapphala devas… a higher being4 as a higher being… the dimension of infinite space as the dimension of infinite space… the dimension of infinite consciousness as the dimension of infinite consciousness… the dimension of nothingness as the dimension of nothingness… the dimension of neither perception nor non-perception as the dimension of neither perception nor non-perception… the seen as the seen… the heard as the heard… the sensed as the sensed… the cognized as the cognized… unity as unity… variety as variety… all as all… Nibbāna as Nibbāna. Having perceived Nibbāna as Nibbāna, such a one conceives of Nibbāna, conceives in terms of Nibbāna, conceives from [a basis of] Nibbāna, conceives of Nibbāna as ‘me’, and delights in Nibbāna. For what reason? ‘A lack of complete understanding,’ I say. “Monks, a monk who is a trainee – one who has not yet achieved his purpose, who is still yearning for unsurpassable safety5 – understands earth as earth. Having understood earth as earth, do not conceive of earth, do not conceive in terms of earth, do not conceive from [a basis of] earth, do not conceive of earth as ‘me’, and do not delight in earth. For what reason? ‘It is to be completely understood,’ I say. “He understands water as water… fire as fire… wind as wind… devas as devas… Pajāpati as Pajāpati… Brahma as Brahma… ābhassara devas as ābhassara devas… vehapphala devas as vehapphala devas… a higher being as a higher being… the dimension of infinite space as the dimension of infinite space… the dimension of infinite consciousness as the dimension of infinite consciousness… the dimension of nothingness as the dimension of nothingness… the dimension of neither perception nor non-perception as the dimension of neither perception nor non-perception… the seen as the seen… the heard as the heard… the sensed as the sensed… the cognized as the cognized… unity as unity… variety as variety… all as all… Nibbāna as Nibbāna. Having understood Nibbāna as Nibbāna, do not conceive of Nibbāna, do not conceive in terms of Nibbāna, do not conceive from [a basis of] Nibbāna, do not conceive of Nibbāna as ‘me’, and do not delight in Nibbāna. For what reason? ‘It is to be completely understood,’ I say. “Monks, a monk who is an Arahant – one who has eliminated his corruptions, who has lived the [spiritual] life, who has completed the task, who has put down the burden, who has reached the true goal, who has completely eliminated the fetter of existence, who is liberated by right knowledge – understands earth as earth. Having understood earth as earth, he does not conceive of earth, does not conceive in terms of earth, does not conceive from [a basis of] earth, does not conceive of earth as ‘me’, and does not delight in earth. For what reason? ‘It has been completely understood,’ I say. “He understands water as water… fire as fire… wind as wind… devas as devas… Pajāpati as Pajāpati… Brahma as Brahma… ābhassara devas as ābhassara devas… vehappala devas as vehapphala devas… a higher being as a higher being… the dimension of infinite space as the dimension of infinite space… the dimension of infinite consciousness as the dimension of infinite consciousness… the dimension of nothingness as the dimension of nothingness… the dimension of neither perception nor non-perception as the dimension of neither perception nor non-perception… the seen as the seen… the heard as the heard… the sensed as the sensed… the cognized as the cognized… unity as unity… variety as variety… all as all… Nibbāna as Nibbāna. Having understood Nibbāna as Nibbāna, he does not conceive of Nibbāna, does not conceive in terms of Nibbāna, does not conceive from [a basis of] Nibbāna, does not conceive of Nibbāna as ‘me’, and does not delight in Nibbāna. For what reason? ‘It has been completely understood,’ I say. “Monks, a monk who is an Arahant – one who has eliminated his taints, who has lived the [spiritual] life, who has completed the task, who has put down the burden, who has reached the true goal, who has completely eliminated the fetter of existence, who is liberated by right knowledge – understands earth as earth… Nibbāna as Nibbāna. Having understood Nibbāna as Nibbāna, he does not conceive of Nibbāna, does not conceive in terms of Nibbāna, does not conceive from [a basis of] Nibbāna, does not conceive of Nibbāna as ‘me’, and does not delight in Nibbāna. For what reason? The elimination of lust6, the absence of lust. “Monks, a monk who is an Arahant – one who has eliminated his taints, who has lived the [spiritual] life, who has completed the task, who has put down the burden, who has reached the true goal, who has completely eliminated the fetter of existence, who is liberated by right knowledge – understands earth as earth… Nibbāna as Nibbāna. Having understood Nibbāna as Nibbāna, he does not conceive of Nibbāna, does not conceive in terms of Nibbāna, does not conceive from [a basis of] Nibbāna, does not conceive of Nibbāna as ‘me’, and does not delight in Nibbāna. For what reason? The elimination of hatred, the absence of hatred. “Monks, a monk who is an Arahant – one who has eliminated his taints, who has lived the [spiritual] life, who has completed the task, who has put down the burden, who has reached the true goal, who has completely eliminated the fetter of existence, who is liberated by right knowledge – understands earth as earth… Nibbāna as Nibbāna. Having understood Nibbāna as Nibbāna, he does not conceive of Nibbāna, does not conceive in terms of Nibbāna, does not conceive from [a basis of] Nibbāna, does not conceive of Nibbāna as ‘me’, and does not delight in Nibbāna. For what reason? The elimination of delusion, the absence of delusion. “Monks, a Tathāgata – an Arahant, a fully self-enlightened one – understands earth as earth… Nibbāna as Nibbāna. Having understood Nibbāna as Nibbāna, he does not conceive of Nibbāna, does not conceive in terms of Nibbāna, does not conceive from [a basis of] Nibbāna, does not conceive of Nibbāna as ‘me’, and does not delight in Nibbāna. For what reason? 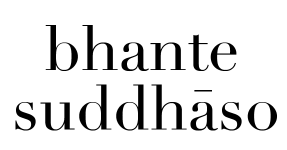 ‘It has been completely understood by the Tathāgata,’ I say. This is what the Blessed One said. Those monks did not delight in the Blessed One’s speech. 1 Lit. “lord of progeny.” A creator-deity in ancient Indian cosmology, still popular in contemporary Hinduism. Rarely mentioned in the Buddhist texts and not considered even remotely important in Buddhist cosmology. 4 Abhibhū. From abhi (higher) + bhu (being). Sometimes translated as “overlord,” however, the context here indicates that it more likely indicates beings higher than vehapphala devas. 5 Anuttara yogakkhema. A synonym for Nibbāna. 6 Rāga. This can also be translated “passion”.